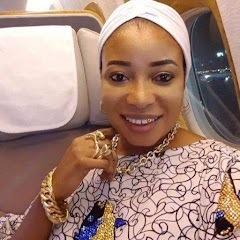 Nollywood actress, Lizzy Anjorin, has advised women to be mindful that men are born polygamists and may lust after their best friends or house keeper. The actress in an interview with The Sun, advised women not to end relationships or marriages because their husband slept with housemaid or their bestfriend. According to her, ladies should work hard, make money for themselves in such relationships, as separation may not be the solution. “Ladies should be more concerned about what they have in their bank accounts or in their brains before showing off their men to friends or uploading proposal videos on social media. “You can’t tell, anything can happen. How good you are in bed or in the kitchen are not enough to satisfy men. Some of them even say worst and evils things about their women when things are no longer rosy.,”Another secret is that, some men derive joy in making their women cry or go through pains. Some men even go as low as sleeping with your house help or friends but that does not make him a bad person neither is it a strong excuse for you to quit. .
"Instead, buckle-up and raise your head, be positive and work harder, better things are ahead of you. In case you find yourself in an unpleasant relationship; unpleasant is different from abusive; if you don’t have a better offer yet, don’t quit or start showing him attitude. Who knows, the next man may be more disastrous. “We all know that sometimes, some of our past relationships are far better than the one we are into presently. That’s why an adage says: a bird in hand is better than millions in the bush,”‎ she said.